Why I love underground power lines …..
Power lines …. Above ground or underground …. it’s not something I gave a lot of thought to. That is until recently. 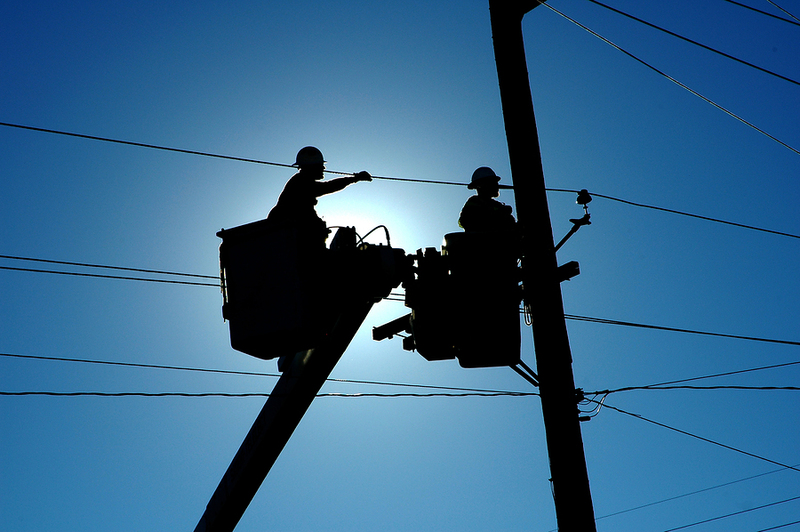 After Hurricane IKE blew through Houston and the Spring Texas area knocking out electrical service to 93% of CenterPoint energy’s customers, I had some time in the dark to ponder power and its delivery systems. When my husband and I purchased our home almost 5 years ago in a newer subdivision in Spring Texas, we did not say “we only want a home with underground power lines”. We did not like the “look” of above ground power lines, but if the house matched our other desires we would be happy to call it “our home”. The house that we wound up purchasing was on an interior lot and it has underground power lines. Besides not having to look at the power lines, I never gave any thought to the benefit of underground power lines until Hurricane IKE knocked out our electrical service. I consider us to be one of the lucky homeowners because our power was restored by CenterPoint energy around 8 pm on Day 5 post-IKE. As of yesterday on Day 17, CenterPoint energy still had 114,000 customers without power with the cause being damage to transformers and lines serving individual homes. Damage that was caused by fallen trees and thrown debris to above ground power lines. Now would we still be in the dark if our home has above ground power lines? Who knows?? What I do know is I love power and the modern conveniences it supports such as A/C which is why I LOVE underground power lines. Next time we are in the real estate market for a home will underground power lines be a “must have” criteria for our home? Probably not. But if our next home DOES has above ground power lines, I will be buying a generator. Your Spring Texas dream home is in the 100 Year Flood Zone … Now What?